Tool to take actions upon all kind of received syslog data. Is there a better alternative to LogAct? Is LogAct really the best app in System category? Will LogAct work good on macOS 10.13.4? 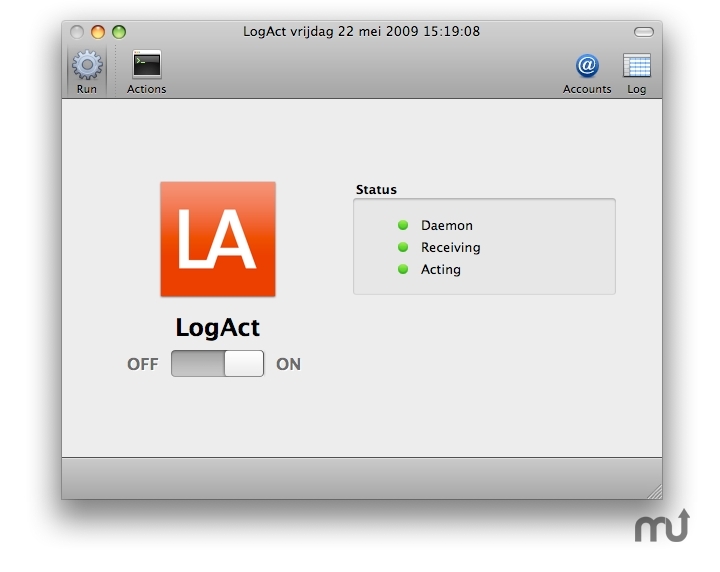 LogAct is a tool to take actions upon all kind of received syslog data. Syslog features are a built-in facility in almost every piece of hardware and a lot of serious software to report warnings, errors or just information about whats going on. LogAct needs a review. Be the first to review this app and get the discussion started! LogAct needs a rating. Be the first to rate this app and get the discussion started!